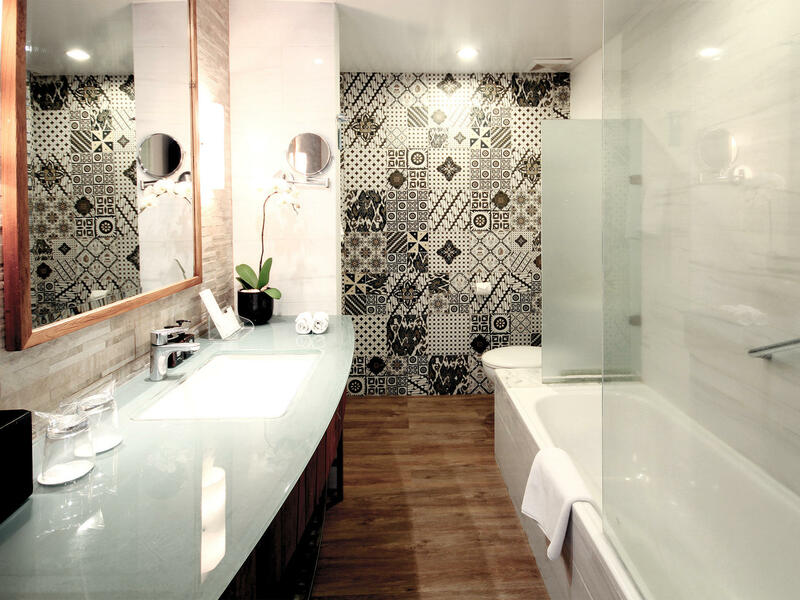 Each of our 117 immaculate guest rooms offers a peaceful escape in the heart of Bali. 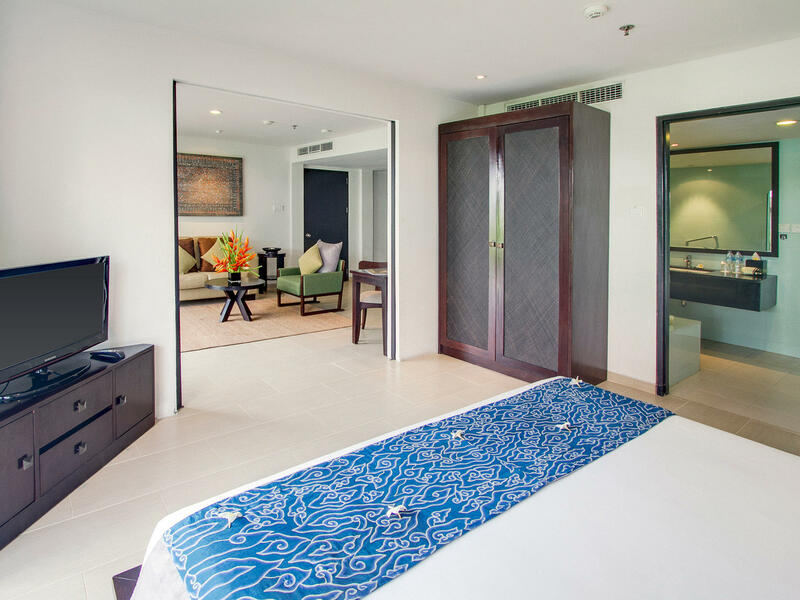 From the intimate comfort of our deluxe rooms to the spacious grandeur of our majestic suites, the peaceful atmosphere throughout Away Bali Legian Camakila invites you to immerse yourself in the slow, easy pace of life in Bali. 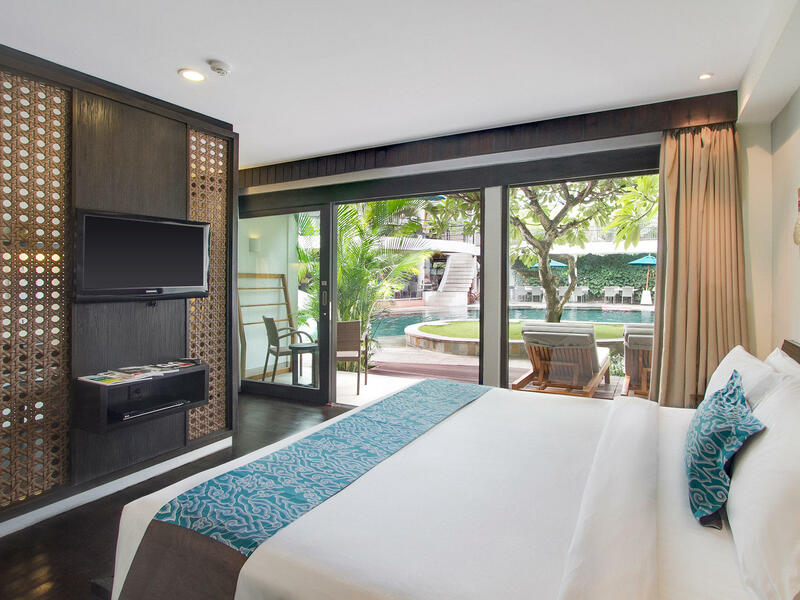 Designed for pure tropical relaxation, these newly renovated premium deluxe rooms come with fine bedding and a state-of-the-art home entertainment system. 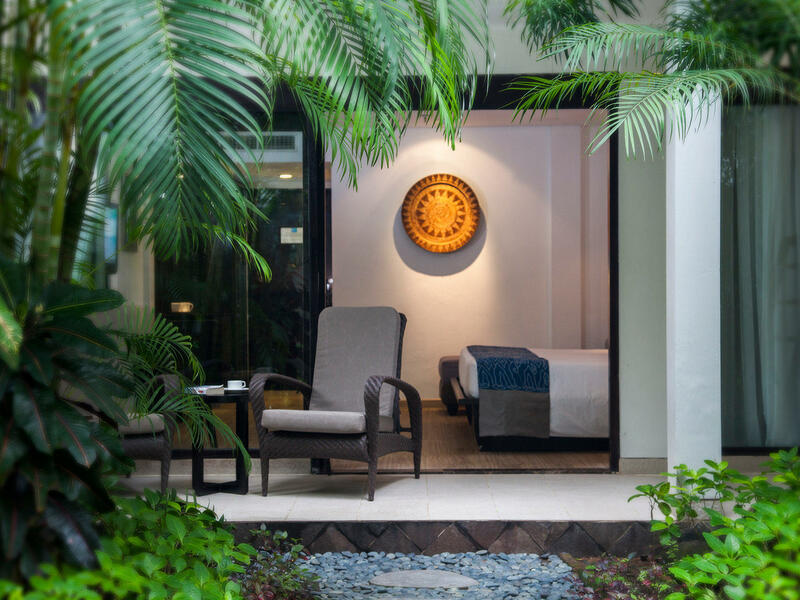 Newly refurbished, our spacious deluxe rooms put you just steps away from the resort’s glistening pool and scenic gardens. Perched right at the pool’s edge, these impressive deluxe rooms are the perfect way to spend relaxing days in paradise. 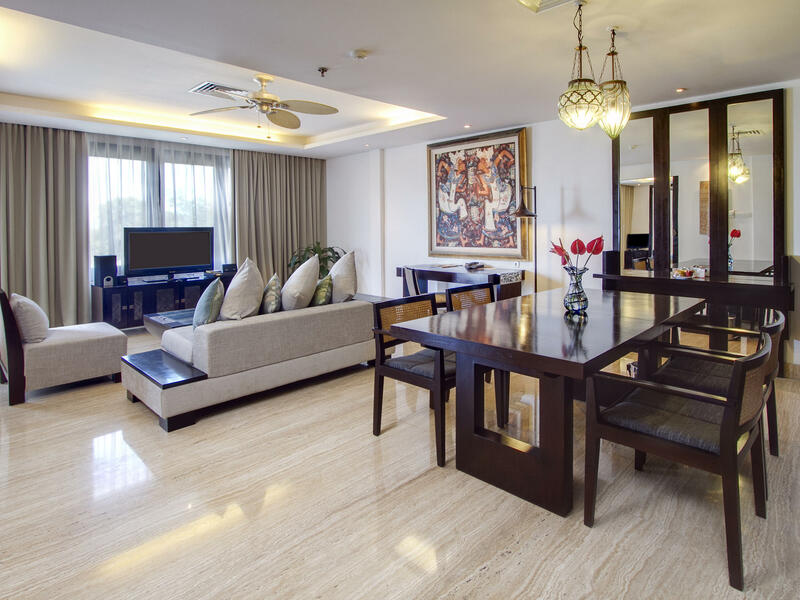 Adorned with simple yet elegant accents, each of our spacious 50 sqm suites is equipped with an expansive living room, private balcony, ensuite bathroom, and entertainment center. Offering a decadent blend between luxury, comfort, and modern Balinese décor, this 100 sqm suite boasts a grand view of the beach and as well as the resort’s lovely Tao Beach House.